Following the visit of the secretary-general of the Organisation of Islamic Cooperation (OIC), Iyad Ameen Madani, and his delegation to both Suriname and Guyana last week, the ministry of foreign affairs of Suriname has reported that the OIC is willing to finance the construction of a bridge across the Corentyne River at the eastern frontier between Guyana and Suriname in an effort to enhance regional economic and physical integration. This type of project falls under the rubric and vision of the Arab League and South American group, UNASUR, which meets at the heads of government level every three years. 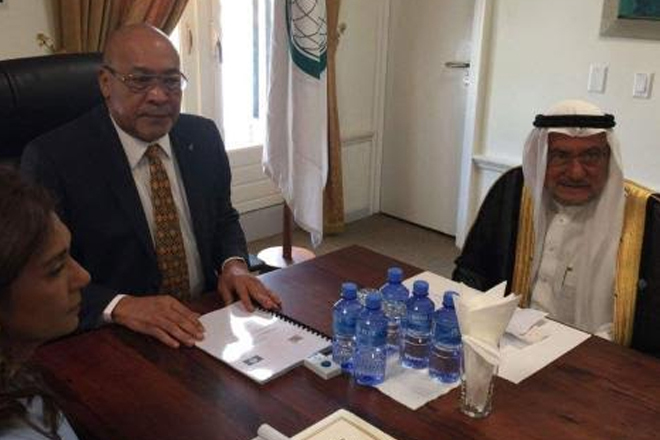 Such a project would support and promote regional integration and economic development, which Madani termed “a triangular relationship between the OIC, Guyana and Suriname”. The OIC will also work with UNASUR in this effort.